Stand To Games – the company that has brought us Over The Hills, Forager and, most recently, Rise and Fight Again – has launched a kickstarter project to help fund the production of a new set of rules: Over Malvern Hill. 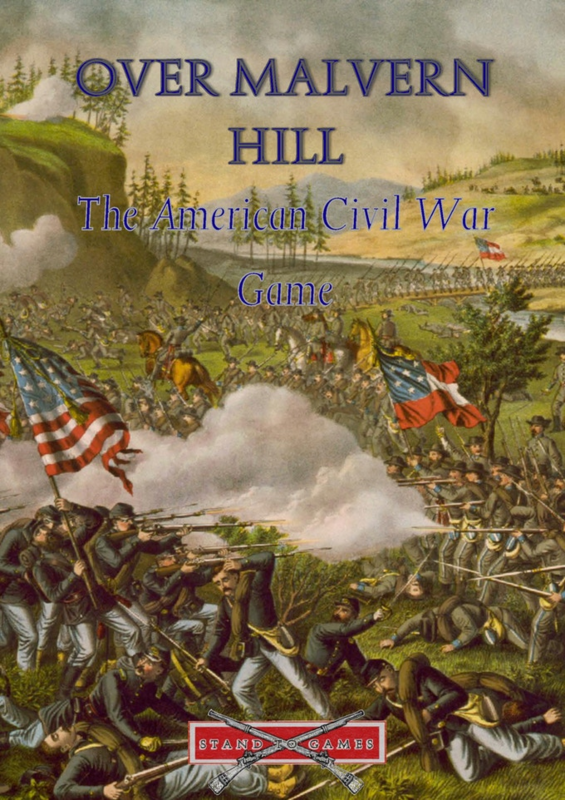 As the name implies, these rules take the base mechanics from Over the Hills and adapt them for a new period – in this case, the American Civil War. These rules are designed to provide a fast paced, easy to play mass battle game for ACW. The project has a funding goal of £2,500, and at time of writing is just over 40% towards that target. The project is running until the 2nd September 2018, with delivery due in October 2018 – this may sound ambitious, but Stand To Games already have a proven track record for producing these types of project on time. A copy of these rules will cost £20 – stretch goals for the project consist of a number of scenarios, which will be issued in PDF format to accompany the main rulebook. They might be the rules I was looking for… so I backed the KS!